Work with Lynk this weekend and end up with a pot of gold!! This weekend is set to be the busiest one of 2017 so far with Paddy’s Day on Friday and Ireland vs “them across the water” on Saturday. 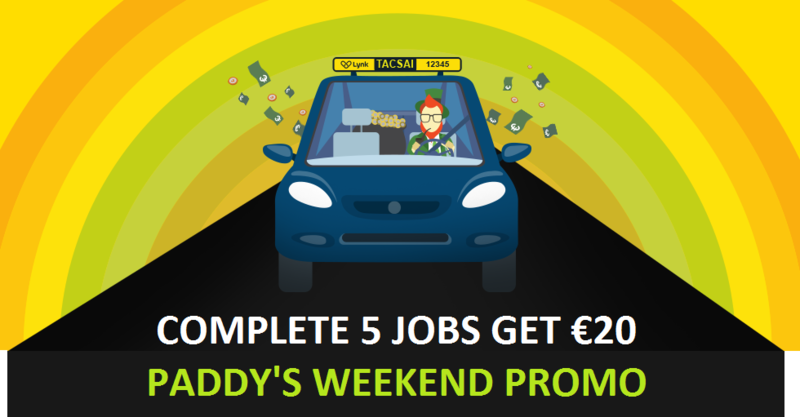 Every time you COMPLETE 5 jobs between peak hours we will bonus your account €20. 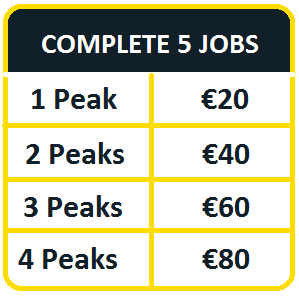 There are 4 peaks, work each peak, hit the target, get a €80 Paddy’s Bonus!! 2 Friday & 2 Saturday (peak times below). Each peak has 3 hours. There is no sign up or opt in. All you have to do is login during these hours and hit the target of 5. Then come next week you will have a nice bonus! !